How can I make better use of the dead space under my bottle cages? I don't believe there's a product on the market, so I think I'd like to repurpose/make something. It should be secure against falling off, and keep the dirt and the worst of the water out. I've found this winter that on long rides (200km+, essentially unsupported but with occasional food stops) the bike is fully loaded. 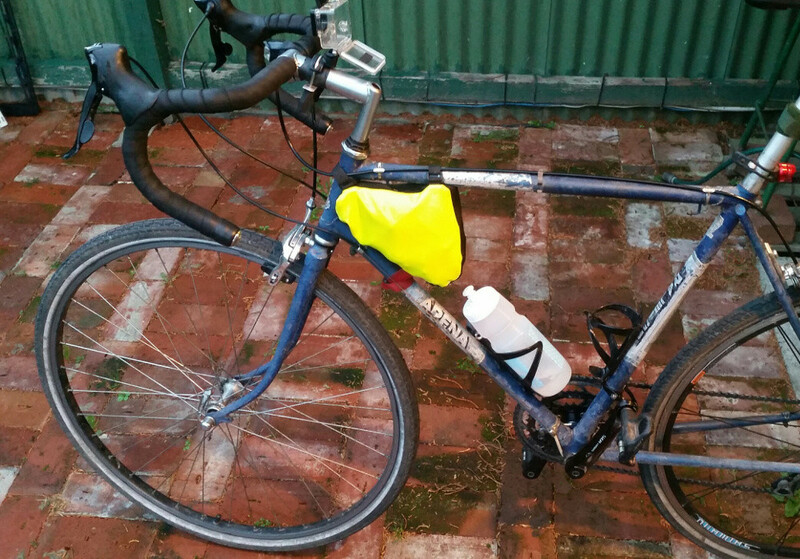 I don't really want to fit the rack/panniers (weight and drag) when I'm already pushing myself quite hard, and can't add a handlebar bag because of my lights. You could try a DIY custom fiberglass tool compartment for that area. Take a block of styrofoam, whittle/ carve it into the perfect shape to fit that area for your specific bike/bottle combo, then use that as a mold to wrap 1-2 layers of fiberglass around (using a fiber glass repair kit from automotive store), then cut the end or top off that, and you have a container for the space. Figure out how to waterproof the seem around the cut, add velcro straps to your seat and down tube. If you wanted it to be a little more slick and/or lightweight, there are also DIY carbon fiber kits and carbon fiber mold kits. You're looking about 3-4x the cost of the fiberglass kits. Good question - I've wondered the same. 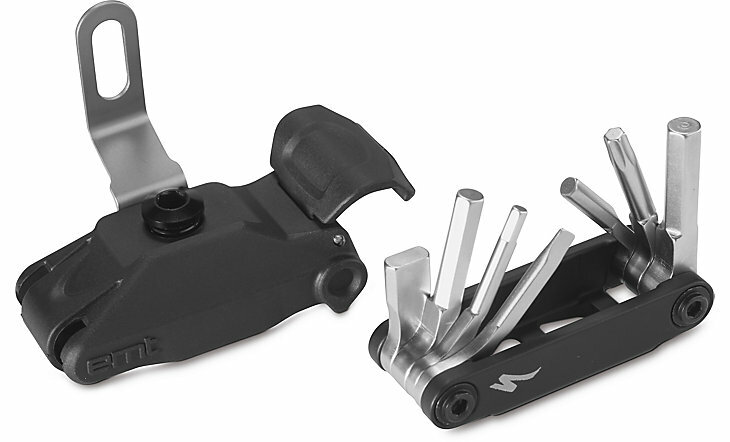 I looked at the Specialized SWAT toolbox for inspiration, but it only fit certain models of frame. Downsides of this is that it only fits their multitool and nothing else. Also exposes the tool to a lot of dirt and muck that it wouldn't see if higher up. 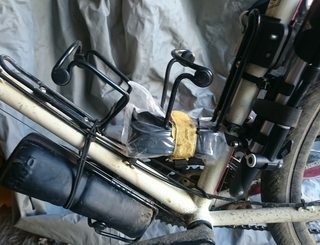 I have tried a solution of using a frame mount bag right at the front of the main triangle. 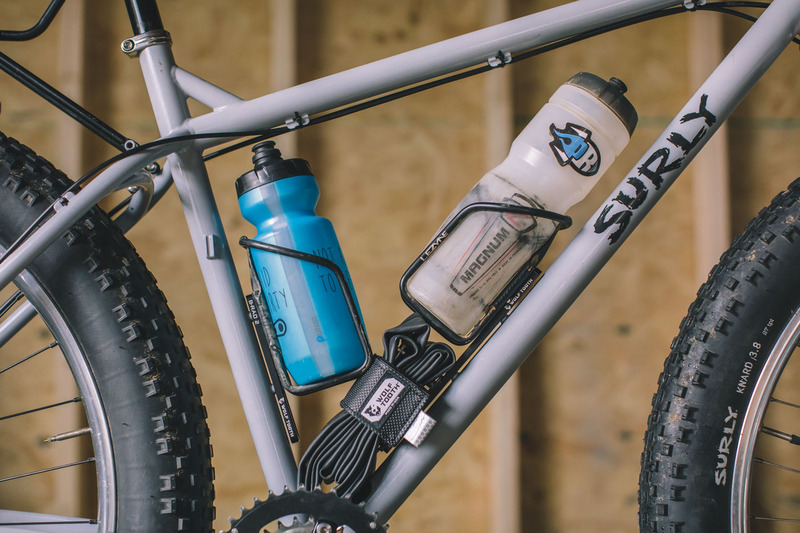 Advantages are that its forward weight so helps me keep the front wheel down on a steel climb, and I can put a USB battery in here for powering my gopro on long rides. 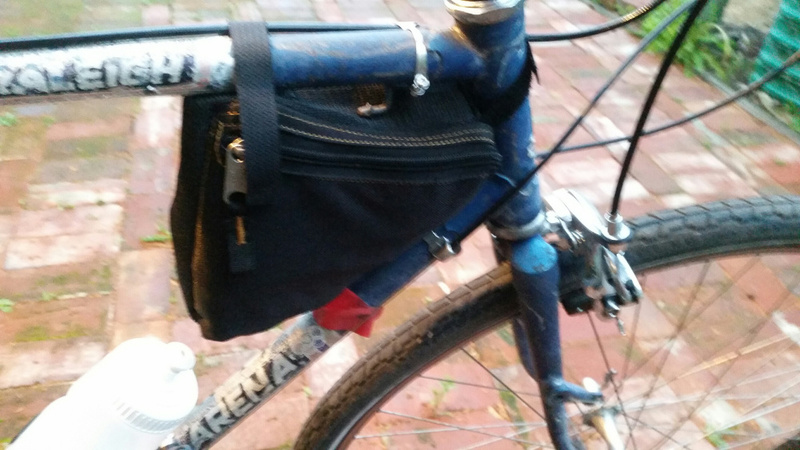 Alright this bag was measured for another bike so its a bit saggy here. 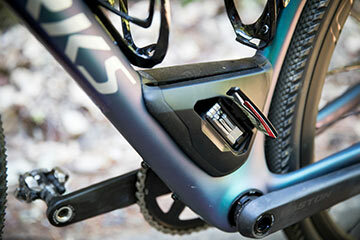 The pump hook gets in the way, and the downtube is much smaller and a different angle from the designed bike. Flaws - the zip is the wrong way around, and should close forward so cables can come out easier. Velcro is all wrong for this bike. While there are some off-the-shelf products that are similar (the one I use is the Z-box by Zefal, in the large/adjustable size), this video's DIY hack has the advantages of being cheap (or free if you have an extra bottle laying around that fits the bill) AND the end result is kinda stealthy, in that it doesn't look like anything worth stealing. You might also be interested in the B-RAD system by Wolf Tooth. NOTE: The frame they chose to model the product doesn't look like the best use case. Removing/inserting that aft bottle deson't look easy. Regardless, they have more photos at the link above. Not the answer you're looking for? Browse other questions tagged luggage bottle or ask your own question. Ever seen a locking bag that could be locked to the bike? How to carry sunglasses, so that I can easily put them on or off?